Do you Yelp? You should do. Yelp provides reviews on just about everything, so whenever you are thinking about spending any money, whether it’s on goods or services, you should check out the available reviews on Yelp. This includes reviews of San Francisco oral surgeons on Yelp – yes, they have reviews on us too. We are super proud of our splendid reviews of San Francisco oral surgeons on Yelp, but then again, we are proud of our reviews on Google too. 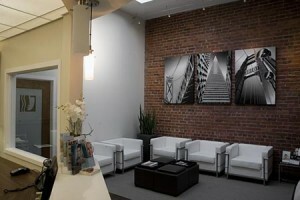 Just check out “Oral Surgery San Francisco” and you will see what we mean. We get great reviews because our doctor, Dr Alex Rabinovich, is a world-renowned oral surgeon and goes to extreme lengths to insure that every patient gets nothing less than the finest treatment that can be found anywhere. As an oral surgeon and dental implant specialist, Dr Rabinovich is highly regarded among members of his own profession and is frequently called upon to deliver lectures to other oral surgeons on the latest technological advances. Of course, it goes without saying that Dr Rabinovich himself uses the very latest equipment that is at the cutting edge of oral surgery. Our office is state-of-the-art and beautifully furnished and is designed to put every patient at ease. Dr Rabinovich is only too well aware that although he has carried out thousands of oral surgery operations, for the patient it is the first time, so there are bound to be some pre-surgery nerves. Ultimately, when it comes to reviews, as he has frequently said: “The only review that matters is yours”. It’s true. Dr Rabinovich understands that you will have concerns, and although he perfectly understands all the technical terms (because it’s his job) he takes great care to explain everything in words which the man – or woman – in the street can understand. This, of itself, puts patients at ease. It is perfectly OK to use technical jargon when he is delivering a lecture at a convention, because the audience understands it, but the average person doesn’t. This is another reason why Dr Rabinovich has such great comments when you look for reviews of San Francisco oral surgeons on Yelp. He doesn’t try to confuse you with science as some people do. He does the opposite. Dr Rabinovich also offers all patients a completely free consult with no obligation, so that he can assess the problem that you have, explain it to you in simple language, and then tell you what your options are. Every patient is unique, and that is the way that Dr Rabinovich will treat you. This entry was posted in Blog and tagged San Francisco Bay Area, San Francisco oral surgeon, Top Oral Surgeon on October 12, 2018 by Jason McDonald.